Duke takes on Rhode Island tomorrow and Coach K addressed the media today concerning the match up. COACH KRZYZEWSKI: Good afternoon. I'm okay for -- I don't really have an opening statement. Q. Coach, by virtue of winning last night, you tied with Pat Summit for most wins all time? COACH KRZYZEWSKI: I didn't know that. Q. For Division 1 college basketball. And by virtue, you have a chance to pass her tomorrow. Can you share what your relationship was like with the late Coach Summit. Was it more than a matter of mutual respect? COACH KRZYZEWSKI: Well, she would have won hundreds of more games. I didn't know that. Pat could have coached men. She did coach women. She was as good a coach as there was in the country. I remember when I was a young coach, and I got to become great friends with C.M. Newton, and Sam Newton was on Coach Knight's staff in the '84 Olympics, and I was like a special assistant. I did the scouting during that time. And C.M. would talk about Pat and say, you know, she should have a men's job. She would be terrific. But she really was a pioneer and set up what is today's, you know, the glory that the women's game has right now. And I became pretty good friends with her. We shared a huge moment together as Sportspersons of the Year for "Sports Illustrated" a few years ago. But, you know, she was great, and again, I didn't know what number of wins she had or whatever, but whatever number that was, hundreds of more. It's too bad that she contracted the health problems that she did. So, anyway, she's really great for our profession. Q. You touched on this yesterday when Bobby and Danny Hurley played each other in the early '90s. We just talked to Danny and big Bob about it. What do you remember specifically about that game with the two brothers going against each other? COACH KRZYZEWSKI: Yeah. It was a huge emotional game for -- again, I can't speak for Danny. But for Bobby, he was -- you know, he didn't play well, and you know, it was tough. I think if you would ask Bobby, Bobby would tell you he loves his brother, loves him enough to after pro and horse racing and all of that went to be his assistant, and really had a hard time leaving him then even to go for the Buffalo job because they're that close. And then I'm worried the next game, you know, like you -- we had two huge emotional things to get over that '92 year, that game and then when Christian hit the shot, to get over the emotion of that with those two guys. And thank goodness, they were such tough competitors that they were able to do that and lead us to our second National Championship. COACH KRZYZEWSKI: Just in case, it's Mike DeCourcy -- aren't you supposed to say that? Q. I guess I am. I apologize. Obviously, your relationship with the Hurley family goes back to when you recruited Bobby. That's clear. Did it go back beyond that, other players that you might have scouted that Bob, Sr. had or anything like that, maybe meeting him in a clinic or whatever? 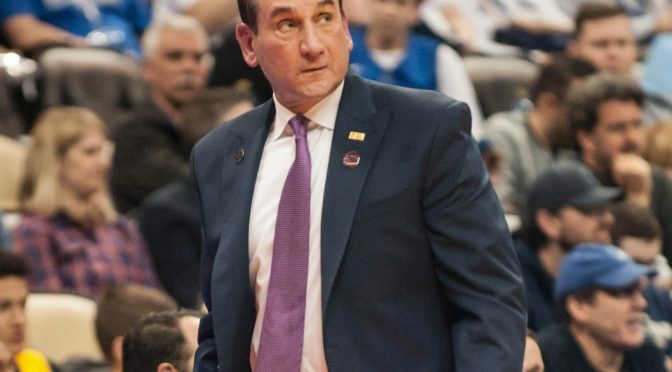 COACH KRZYZEWSKI: You always follow Bob Hurley because he could have coached at any level, and maybe it changed a little bit of how he would run his practice if he was at the NBA level, but maybe not. But you always knew that a player coming from St. Anthony's would know how to play, know how to work, and know how to be a team member, solid, solid, all of the time. And, you know, Bob was consistently excellent in doing that every year at St. Anthony's. And he built a program there. Okay? And Dan -- Danny was at Wagner and at Rhode Island. He's built programs, you know? And he learned that from his father, and Bobby's doing that at Arizona State. So, it keeps rolling. It keeps rolling. Q. Bob Sr. and Dan just spoke about what Duke and you mean to their family. Can you talk about, I guess, what they mean to your family? COACH KRZYZEWSKI: Yes, certainly. I think we're -- we feel like we're in the same family. Whether they said it that way or not, you know, we love the Hurley family. You know? Like Bobby, for me, I had as much fun coaching him -- I always, you know, I related to him. I was a point guard and I was never as good as him, but I gave him the freedom that I would have liked if I was as good. I'm not saying I deserved that freedom, so I'm putting that -- if you write about this, make sure you say "if I was as good." And I would go through a practice, and I remember one of the best point guards I ever had, and as great, as good a guy, Tommy Amaker was on my staff at that time. And there would be times at practice where Bobby was working so hard, and I said -- and I'm not making him work that hard -- I cannot believe he works that hard. And at that time, the StairMaster was a big thing in getting in shape. After every practice, it didn't make any difference the length or the severity of the practice, Bobby went on the StairMaster and he would always try to break the record that he had before. And then he would leave it on the StairMaster to say if any of you suckers think you can beat that, try to beat it. And he was in marathon runner shape. And it's really one of the reasons he's alive today. Because he -- when he was in that horrific accident, you know, what we were told is that most people would have died -- and that he was in such amazing shape, and the trauma center was right there, that he, you know, that he lived. And thank goodness that that happened. But that's the kind of work ethic that their family has. You know, I grew up in a family where they worked and they showed up every day. They show up every day. There's an expression that I love called the "dignity of work." The dignity of work, and people who embrace that are happy their entire lives, because they love -- they never look at work as work. It dignifies them, whatever job they have. Whether my mom as a house -- cleaning offices or me coaching or them at St. Anthony's or in the pros or whatever, there's a -- the Hurley family epitomizes the dignity of work, and, you know, we feel we do, too. So it's a -- we get along really well. Look, obviously, we want to beat them, but it's an honor to play against them. And win or lose, you can be sure I'll hug him and wish him well if they beat us, and, you know, wish them well if we beat them. But we'll go after each other hard, I know that. Q. Coach, Iona was so dangerous with their guard from three yesterday that you went to the 3-2 to limit it? COACH KRZYZEWSKI: Is that what you call it? Q. It looked like a 3-2. Rhode Island has not started anybody taller than a 6'8". So I guess more broadly, how much of it's in the game change to make teams (inaudible) for big men like that? Still dangerous tournament teams that can shoot the ball and have guard penetration? COACH KRZYZEWSKI: Again, you're bringing up a great point. We have a height advantage. If the game was only about height, we would be in great shape every game. The game is really about lateral quickness and how you move whatever height you have, you know? Does your height get wide? Like these guys know how to play, and they know how to play together, and they rewind game, rebounding and toughness, and they have incredible mental toughness and physical toughness. And, you know, they -- and they're old. They're old together. They're old together at a high level. Our guys are tall and young together. So the best combination is to be tall, wide, and tough together for a long time. And then you would have my '92 team, or the 2001 team, or whatever. But those teams aren't alive and well anymore. COACH KRZYZEWSKI: Even with an older team, if you haven't been there, that's part of the tournament is the next play, you know? How do you handle -- like our guys handled the first play well in that they weren't nervous. I thought they -- they played really hard. They have really enjoyed being there, and they didn't hold back. And now we got -- again, that's, you know, a constant thing for us. Again, I'm not complaining. Just with a group that hasn't been there before, you're trying to lead them along the way, you know? There are different motivations from teams in the tournament then as you move along. You know, there are teams that are happy to be here. There are teams that hope that they can win, and there are teams that believe they are going to win. And you want to be the team that believes you're going to win, not just at the beginning of the game, but with five minutes to go and it's tight, you know? Is it hope that you came into the game with or is it belief? If it's belief, then you have a greater chance of advancing. And that's -- I've coached a lot of games in the tournament. I've believed that 100 percent. 100 percent. So we're trying to be a team that believes every minute it's out there that it deserves to be there and has a chance to win and that's what we're trying to get across to our group. Q. Rhode Island enters five seniors into the game tomorrow; you enter the one with Grayson Allen. How valuable is his senior leadership and experience in a situation like that? COACH KRZYZEWSKI: Yeah. Huge. And it's been huge all year for him to give even more of himself. And when you have a veteran group, you can give, but you receive from other people. When you have a young group, they don't know how to -- it's not anything wrong, but they don't know how to give. And so I think our team now is giving more, and that's not a knock on our team. It's a learned thing, the more experience that you get. And so I think Grayson, over the last few weeks, has gotten even better, because he knows that his team has matured. We're not that young group that we were in November or December, even January. We're a very good basketball team, and we can get better. You know, we can get better. Now, will we have that opportunity after tomorrow? That's what we're trying to -- hopefully we can get that opportunity. Q. You look at the way the rosters are listed and even the way the players are introduced before the game. Hardly anybody is identified as a center anymore. Does that position not exist anymore this? COACH KRZYZEWSKI: You know, you're talking to a guy that has never believed in positions for basketball anyway. I've always said, look, if you're a third baseman, you know, he's going to third. If you're a left tackle or a quarterback, or you're a receiver. In our sport, people play everywhere, so why do we position them? And now we're in a time where we play positionless basketball. But I think the International has helped us in that regard, because from day one, they teach the entire game and have the same set of rules for kids who are 8 years old, 12 years old, 16. They play with a shot clock. And what helped the advancement of basketball, was the fact that International had a trapezoid lane, you know? And therefore, there wasn't low post as much. And so bigs were allowed -- they had to learn how to play, and now they've gone to -- it's a wide lane but a rectangular lane. Those types of things internationally helped our game to go to positionless; where everybody now is skilled with the ball or has to be. And that's why, you know, Marvin and Wendell are basketball players, not just big guys. So, anyway, it's a long, historical perspective that maybe you all -- you probably have noticed that already. But, if you haven't that's -- the evolution of our game has occurred as a result of things like that. I feel like I'm doing a lecture here. I hope I'm not boring you. COACH KRZYZEWSKI: You should let them come. Q. -- to develop their skill. But sometimes they just lack some ability or chance or opportunity? Q. More chance. Yeah, I agree. So what's, you think, actually basketball-wise they need to do better, to prepare better? 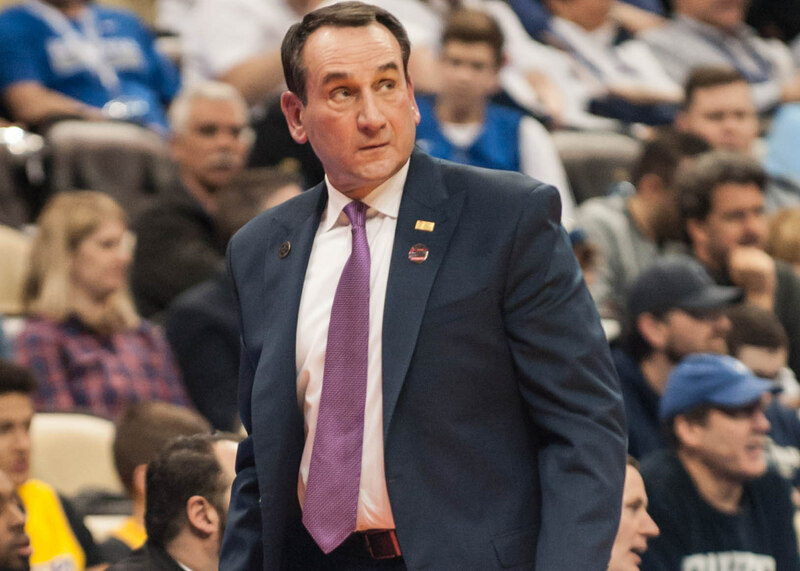 COACH KRZYZEWSKI: I think just, like, you learn from other culture, there need to be more players from your country allowed to come here as younger players to learn and be a part of the athleticism and the culture of our sport. Your country has more 7-footers than any country in the world, and it loves basketball. It not "likes" basketball, it "loves" basketball. And so you've embraced having our players come there and play professionally, but there isn't -- there isn't, you know, your young players don't come here. Would you agree? COACH KRZYZEWSKI: So I don't know why. Maybe that's a political question. Q. Yeah, I think that's part of it. COACH KRZYZEWSKI: If they did that, then your country would get better. China has talent. Q. Talk about the big guys. How about the small point guard. So we really need some players who can do that? COACH KRZYZEWSKI: Yeah, you still -- look, if you only dance to certain music, you're only going to learn that dance. You have to go someplace where you dance to some other music. And if you're a guard, you better come here if you want to learn any kind of -- learn the different ways of playing the game. I'm a big fan of Chinese basketball. I think the potential is unbelievable there. And we played in the most-watched game ever, when we played in Beijing, and we played China. There were hundreds of millions of people watching, 100 million. I don't know how many people are in the country. It was the most-watched game ever and they love basketball. They love it. COACH KRZYZEWSKI: No. The main thing is they are good and they play together. They may be older. I'm not a guy about mid-majors. There's not this gap and hasn't been for a while, you know, like when we lost to Mercer a few years ago, one, they're coached by a hell of a guy. And they had won something like 90 games together. You know, he built a program, and when those guys walked on the court, they're men. Hey, you mid-major guys, don't act so old, you know? Why didn't you shave this morning. All you guys have beards. No, I mean, it's close -- there's a lot of good basketball being played. I mean, you saw it yesterday with Buffalo, and they're -- and if any of the guys fall into the trap of thinking that, then they are going to get -- they may get beaten anyway by that team. But then they're going to get beat, because -- especially for one game -- you know, in one game anything, that's the beauty of our sport. One game. It's the beauty of this tournament. This tournament is a great, great tournament, because everybody's got a chance. Everyone who gets in has a chance. I hope I wasn't too philosophical here today. But anyway, you asked some good questions and they lead to some other things that -- the depth of our game is beautiful, so anyway, that's what I'll say.